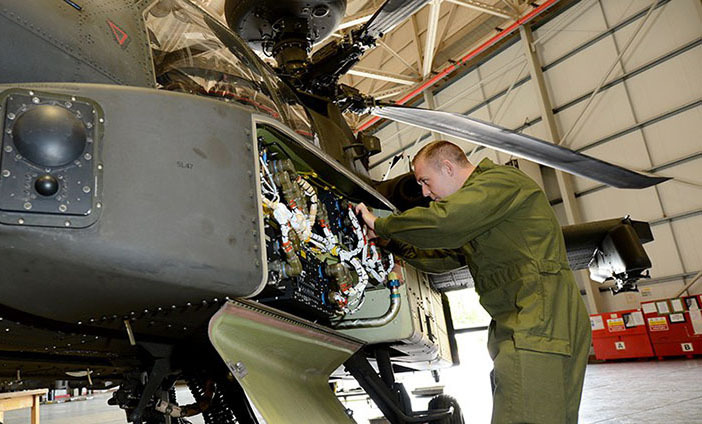 Army helicopters are maintained and repaired by teams of highly skilled specialists, and as an Avionics Technician you'll be trained work on complex navigation, communication and flight controls, as well as some weapons systems. You'll travel all over the world with your unit, servicing Army aircraft on operations and exercises, earning highly valuable civilian qualifications, and enjoying sport and adventurous training. Maintain technically challenging electrical and avionic systems. Sustain high standards of engineering integrity in a demanding environment. Work under supervision until you’ve gained enough experience to become self supervising. Then it’s off to the Defence School of Electronic and Mechanical Engineering at MoD Lyneham. Over the next 82 weeks, you learn how to fix aircraft including their navigating systems, radar, communications, weapons and counter-missile systems. You also learn to drive various Army vehicles.